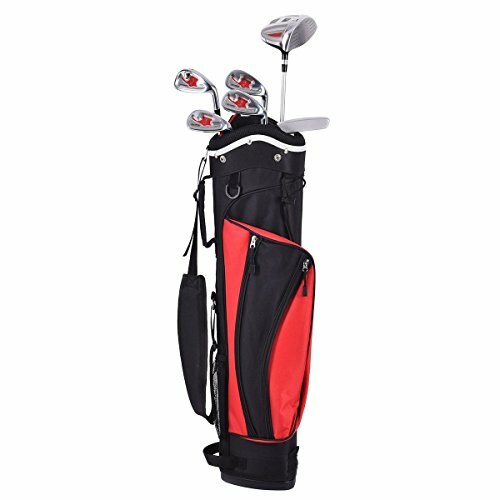 This golf club set is high quality and suit for kids exercise. This golf club set includes matching head covers,1 wood club, 4 iron clubs, putter and stand bag. The lightweight bag works great for walking. And it can be strapped easily to a any type of cart. This high quality golf set will take you to the next level. These club sets not just look incredible, but also amazing until you use them!